If you missed it, we have coverage of the new features in Premiere Pro, After Effects, and Audition, with a CS6 vs. CS5.5 version comparison – as well as the same for the CS6 Production Premium suite, taking a look at what’s new and improved. Here now are some Frequently Asked Questions (and answers) on the products, and a bit further down are some helpful video demos for each of the three. Q: Why should I switch to Premiere Pro CS6? A: Premiere Pro CS6 software includes more than 50 powerful new features designed to make switching NLEs easy. Integrate with After Effects and Photoshop software, industry-leading performance, plus broad native tapeless and DSLR camera support, precise editing tools, superior color fidelity, and more, let you handle the most demanding projects with ease. Read about Why Switch to Premiere Pro CS6, and see how easy it is to switch. Q: I use After Effects; should I consider Premiere Pro CS6? A: They do different things but work beautifully together. After Effects users turn to Premiere Pro for ingesting virtually any type of video footage thanks to integration enabling you to easily send compositions to Premiere Pro sequences without having to render them first. Choose Premiere Pro CS6 for intuitive, real-time workflows; timesaving native support for ARRI, Canon, and RED digital cinema cameras, and more. Q: Should I buy Premiere Pro CS6 or the CS6 Production Premium suite? A: Premiere Pro CS6 software is the video editing component in CS6 Production Premium. If you also create motion graphics and effects, color grade, or edit audio, consider Production Premium, which includes After Effects, Photoshop Extended, Adobe SpeedGrade, Adobe Audition, and Adobe Prelude. CS6 software’s extensive integration delivers smooth post-production workflows. Q: Will my current third-party plugins continue to work with CS6, or do I need new ones? A: You won’t need new versions of plug-ins for the either Premiere Pro CS6 or After Effects CS6 – your existing CS5 and CS5.5 plug-ins will work with the new releases. The only time where new versions were needed was when After Effects and Premiere Pro switched over to being 64-bit-only when Creative Suite 5 was launched in 2010. So you don’t have to wait for plug-in developers – you can use all your old plug-ins from CS5. That said, you do need to make sure that your plugins are installed where the tools need to have them… See this guide for instructions on how to make sure your plugins are installed correctly and in the right places. Q: What are the minimum system specifications for Creative Suite 6 – Premiere Pro, After Effects, Audition, and the Production Premium suite? A: All the latest hardware requirements are here. Q: Why don’t you support 32-bit operating systems anymore? A: We’ve heard from our customers that performance is critical, and from a technology perspective, we know that only 64-bit operating systems can deliver the power video professionals require. By focusing on 64-bit operating systems and native 64-bit support for After Effects, we offer superior performance and large-project stability. Q: What file and media formats do the programs support? A: Many – please see: Supported video & animation file formats. Q: Don’t I need a node-based compositing tool for high-end visual effects work? A: After Effects already offers the flexibility of node-based tools – often at a fraction of the cost. You can precompose elements into their own composition module and use track mattes, stencil and silhouette alpha modes that apply to multiple layers, a vast number of plug-in effects, and a powerful Expressions language to create dynamic relationships between parameters. Q: Can After Effects deliver the performance that professionals require? A: After Effects offers native 64-bit operating system support for optimal performance and the ability to use all the RAM that your operating system allows. With Global Performance Cache, OpenGL acceleration, RAM and disk caching, and multiprocessor and multicore support – including the ability to render multiple frames in parallel – After Effects can deliver the performance you need. Q: Some features I use in Adobe Audition 3 weren’t in Audition CS5.5. Are they available in Audition CS6? A: Adobe Audition CS5.5 was a completely new product. It offered many of the core capabilities in Audition 3, but because it was based on a new underlying architecture, it did not have an identical feature set. Many of the most requested features from Audition 3 are included in Audition CS6, including CD burning, clip grouping, tone generation, the Metronome, and support for Mackie and EUCON hardware control surface protocols, to name a few. When CS6 is released you will be able to download a trial version of Audition CS6 to try out all the new features. See complete what’s new & different in Premiere Pro CS6 / After Effects CS6 / Audition CS6. Q: What is SpeedGrade CS6? A: Adobe SpeedGrade CS6 is professional color grading software that brings state-of-the-art color science to your productions. Output to virtually any type of display, from handheld tablets to the big screen. 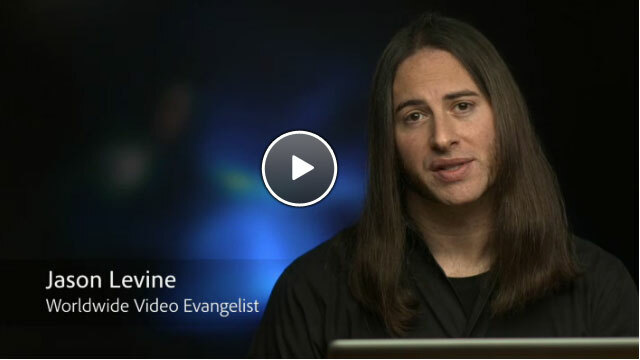 Q: What’s new in SpeedGrade CS6? A: Now part of Creative Suite software, SpeedGrade CS6 offers a new streamlined interface and the Lumetri Deep Color Engine, giving you confidence in your color decisions. Load projects from Premiere Pro software and use professionally designed presets to get up and running fast. Native .Look file support in After Effects and Photoshop software provides visual consistency across your productions. Q: Do I need a special graphics card to run SpeedGrade CS6? A: The SpeedGrade CS6 Lumetri Deep Color Engine is entirely GPU accelerated and requires a certified graphics card for optimum performance. Adobe recommends using an NVIDIA Quadro 4000, 5000, or 6000 graphics card. Q: What is the Lumetri Deep Color Engine? A: The Lumetri Deep Color Engine is the 32-bit floating-point image processing technology at the heart of SpeedGrade. The nondestructive Lumetri Deep Color Engine offers maximum latitude for working with RAW and High Dynamic Range (HDR) footage, allowing you to pull details from your blacks and highlights that might otherwise become lost. Q: What is Adobe Prelude? A: Adobe Prelude CS6 is a video ingest and logging tool that can help you tag and transcode footage rapidly. Searchable temporal markers and comments entered in Adobe Prelude can help you find the footage you want, when you want it, at any point in production. Easy ingestion of nearly any file-based footage along with keyboard-driven creation of searchable metadata allows you to keep your eyes on the video and work faster, stay organized, and streamline production. Create rough cuts and associated metadata that will flow through the entire production process in Premiere Pro software and with other NLEs. Leverage the XMP-based open platform capabilities of Prelude to integrate with third-party technologies and asset management systems. Q: Why should I use Adobe Prelude if I already use Premiere Pro? A: Adobe Prelude software makes ingest and logging of footage more efficient with a simple user interface designed solely for this purpose. Prelude CS6 allows you to add direction and organizational comments to specific footage by tagging media and creating rough cuts that flow through the entire production process in Premiere Pro. In one intuitive environ­ment, Adobe Prelude provides tools that make it simple and fast to ingest file-based footage, as well as help ensure the entry and flow of metadata throughout production, making it easier for you to efficiently work on projects, manage your digital footage, and make sure productions are accurately completed. Metadata entered in Prelude is carried into Premiere Pro, allowing time-accurate communication throughout the workflow. Adobe Prelude is an open platform that supports customized integration with third-party technologies and management systems. Q: Are Adobe Prelude and SpeedGrade included in Adobe Creative Suite? A: Yes. both are included as part of CS6 Production Premium and Master Collection software. Check out this page for more CS6 walkthroughs in greater detail, as well as First Look: CS6 Production Premium! First Look: Adobe CS6 Production Premium Suite — What’s New? What’s New in CS6: Premiere Pro, After Effects & Audition Features! You mention a trial version of Audition CS6. There is not yet a trial version available. Thanks, good catch Todd – we will clarify the text… It was written for when the software would already be out, but thanks for the early unveiling (and the great video series)! Prelude looks like an amazing tool for people working in documentaries (like myself) where one often has to deal with thousands of clips and have a really good keywording system. However, Adobe seems only to be offering this product bundled with a bunch of other expensive apps like After Effects, which are irrelevant to my work. Can I buy Prelude alone to use alongside Premiere Pro 6? Or is Adobe going to play the game of trying to make customers fork over hundreds of dollars for products they don’t need? Whether that might change in the future according to demand or other factors is probably only something Todd or someone else from the company could answer. One Day Deal: Save 50% on Photoshop & Premiere Elements 10! 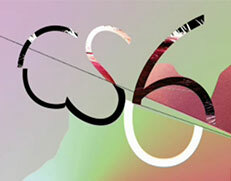 First Look: Adobe CS6 Production Premium Suite — What’s New?